Surf Paws animal hospital is excited to welcome Dr. Joe Herzog to our staff. Dr. Herzog brings with him years of experience and a wealth of knowledge to treat your pets. From birds to guinea pigs to turtles, he will see both exotic and small animals here at Surf Paws. Dr. Herzog will be available for appointments starting August 24th on Tuesdays, Thursdays, and Saturdays. 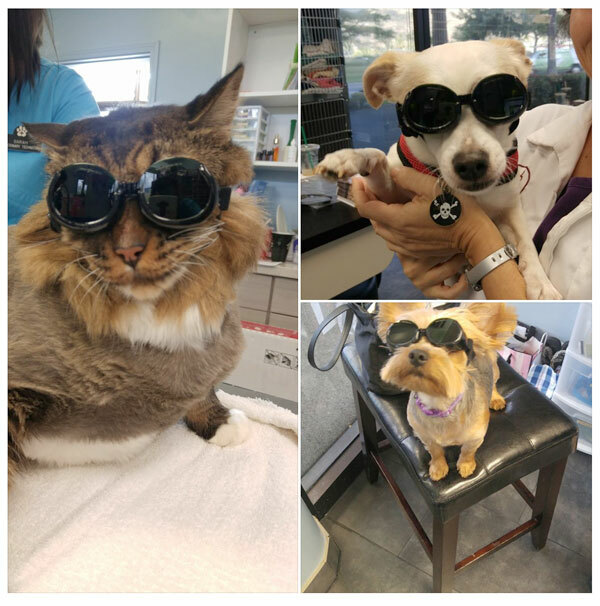 Class IV laser therapy assists our doctors in treating your pets for many ailments. From chronic arthritis to skin problems, ask us how we can quickly and painlessly help. * Subject to change without notice, please call for estimates. Check out what people are saying about us. Your feedback is always important to us, please let us know how we are doing. Peetie is almost 5 and Dr. M has been her vet since she was 11 weeks old....I followed Dr. M to Surf Paws. I also have Gus and he is almost a year and a half...he has also been with Dr. M from the start.... Great service and great friendly staff! I feel very comfortable bringing my puppy here. The staff are all very friendly and sweet to my dog. Dr. M is very nice as well. The facility is very clean and in a convenient location. I'm glad that we found a great vet! I give this place my highest recommendation, the doctors and techs sincerely care about the animals, they have a beautiful office in a great location, and they charge very reasonable rates. Being a dog owner all my life, I have to give this establishment five stars! Professional, high knowledge and cleanliness, not to mention, knowing our Sophie was in good hands gave us peace of mind. I'd definitely recommend Dr. M and her staff to anyone who truly cares about their pet. I drive from Moanalua to Hawaii Kai just to see them...my Layla's health and happiness is definitely worth it. A friend told me about Dr. M, so I took Airmid to see her. Dr. M spayed her without any complications. Since then, Airmid has been stung by a bee and has injured her front paws. Both times, Dr. M's care was quick and effective. Above and beyond all that, Dr. M does this without emptying my wallet!